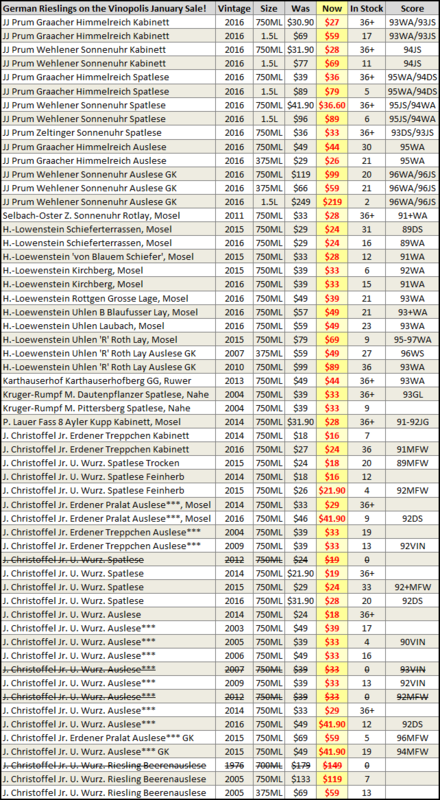 What do savvy wine buyers buy by the case? Dunham launched in ’95 to rave reviews, even named one of the finest wines in WA by Wine Enthusiast. Today, we’re offering the finest pricing on their Estate Syrah! 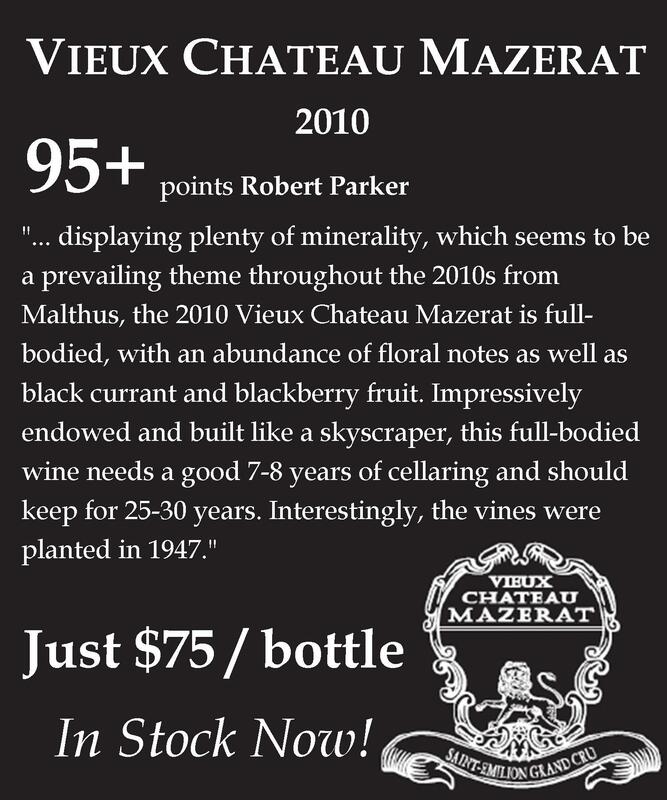 Staff Pick Sale Wine: The Larkmead wines are indeed the real deal. Hold all of these in your cellar for the most pleasure down the line, but don’t be afraid to take a sneak peek. A monopole of Faiveley’s since 1874, this wine is the flagship of the estate and a cherished prize in any cellar! Legendary Barolo at a killer price! 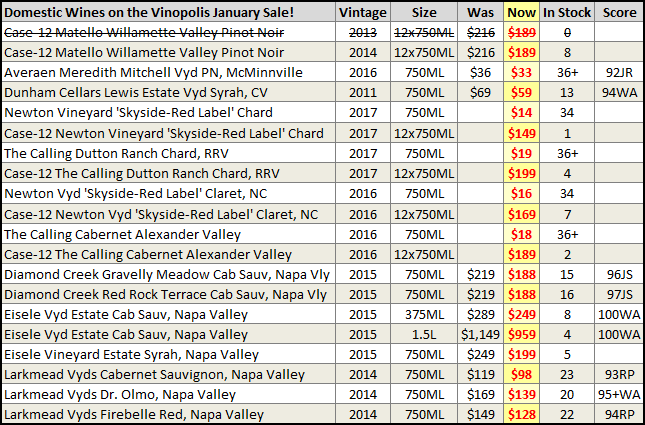 The average price is $32See the complete list of 130+ wines on our January Sale at the bottom of this newsletter or click here to shop! I have a short list of favorites for winter whites, and had to add another to the list this week. I wanted to jump into something a little different from the old standbys of Muscadet, Gruner Veltliner, or Chablis. The Jean Masson La Dechiree sounded like it would fit the bill nicely; crisp, herbal, light. The Dechiree did not disappoint with the herbal notes of thyme and mint. It also had lovely tangerine citrus scents and a surprisingly long finish. It was crunchy with minerals yet broad enough across the palate to feel like there was more to follow. As it came up to temperature the aromas continued to gain in intensity and the creamy texture was very enjoyable. I wish I’d thought out a better dinner to pair this with, but in the end it didn’t matter; simply a perfect little white for a cold Portland night.It was definitely a step up from any Apremont than I have had in the past. Jean Masson is known as a star in the region, and having access to these wines certainly makes me want to get into the Coeur d’Apremont and the Centenaire to see how aromatic Jacquere can be. This is the only listing in the country! 2013 is about as perfect a vintage as you could ask for in Tuscany, so the Casanova Tenuta Nuova is looking as good as you’d expect. La Chablisienne is the classic co-op in the heart of Chablis. Much like the Produttori del Barbaresco, they deliver classic renditions of their appellation at an affordable price point. Fermented in stainless and from a crisp, cool vintage (we can’t get enough 2014), these have all of the stony, green apple qualities we look for in wines from the AOC.—even better, the pricing is throwback. 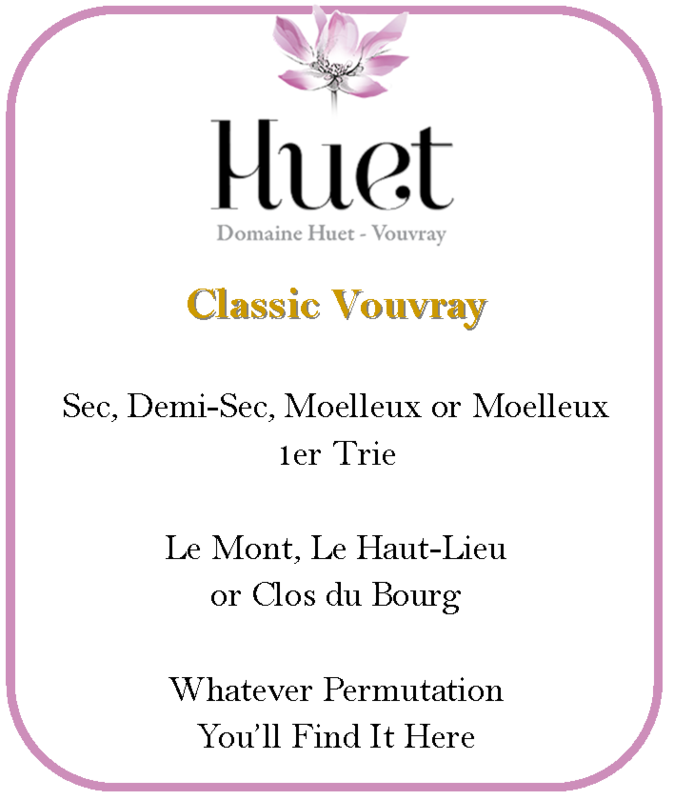 These are premier cru wines of high quality for the price of many decent growers’ regional bottlings. The combination is pretty spectacular! The Cote de Lechet is arriving on Wednesday. This is from the coolest 1er cru site in Chablis, so the wine is full of dazzling minerality and bright, racy flavors. It’s a wine even cooler on our case price! Domaine des Bosquets has quickly vaulted into the stratosphere of top producers in the Southern Rhone. All it took was a generational change, as Julien Brechet’s uncompromising drive for quality has changed Bosquets from a solid but unspectacular producer to one deservedly commanding some of the top prices in the region. 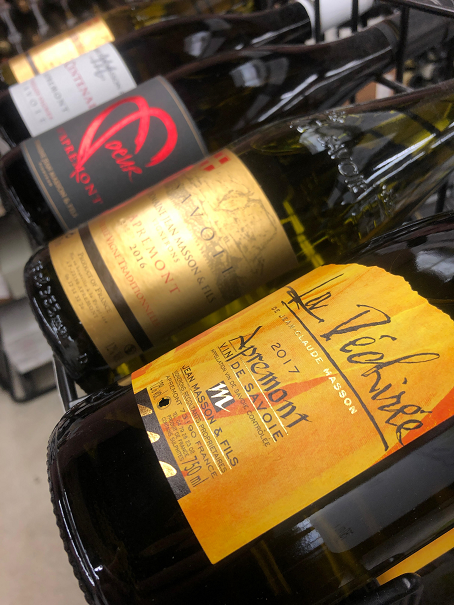 On the subject of pricing, ours is fantastic—and when you combine our prices with the fact that the top Gigondas is undervalued relative to Chateauneuf, you get some of the best deals in the world of top Rhone wines. The “basic” Gigondas is an intense, rich wine that puts a lot of $50 bottles to shame and the high end wines…well, yes, they’re that much better. Our second round of these wines arrive Wednesday and we’re excited to offer them to you today. We offer forty different 2016 Rhone reds in stock now (among the 158 different Rhone reds in stock! 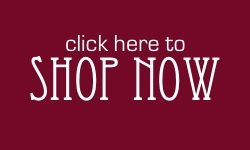 ), so visit our web store to shop the list! 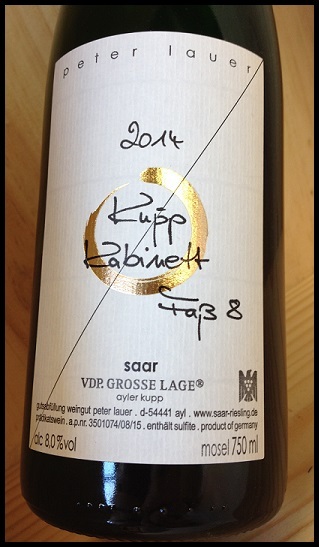 There may be no more ambitious winemaker in the world than Markus Molitor. His determination and drive to make the best possible wines has made him a towering figure in the Mosel, with an impressive, modern winery and holdings in almost every important vineyard in the region. This drive also means there are a lot of different bottlings—Molitor believes that every single sub-parcel and selective pick should be vinified to its utmost potential. This is a lot of extra work and requires time and space that most winemakers would rather not spend, but the result is a dizzying number of bottlings that all strive toward perfection. 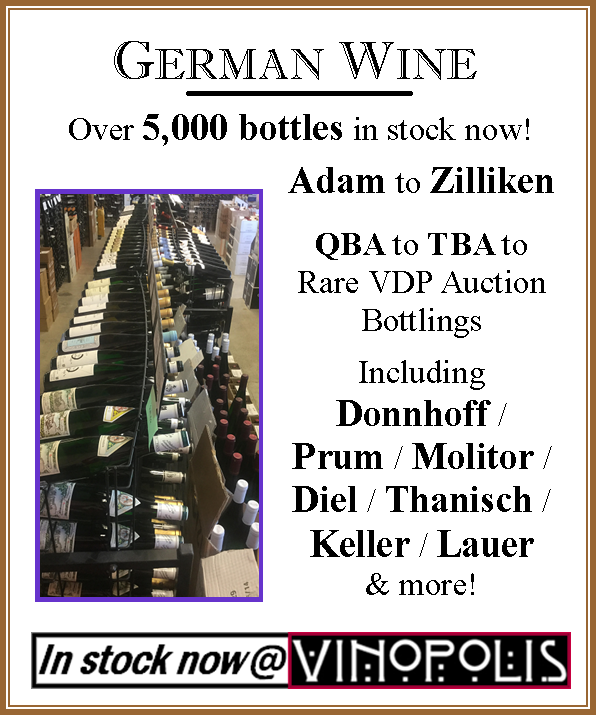 We have three new cuvees arriving Wednesday: the succulent Urz Wurz Kabinett, exotic Zelt Sonn Spatlese, and the fun & pretty off-dry Badstube Spatlese. Sure to entice, these wines are excellent intros to the estate and all its majesty! We have carried Eperatriz’s Cepas Viejas Garnacha every vintage we can—it’s a profound and unique expression of Rioja. Made solely from old vine Garnacha from the higher altitude “Rioja Alta” sub-region of Rioja, it combines rich, captivating fruit with a brightness and delicacy that is unexpected for a wine this powerful. Our allocation is arriving Wednesday, so pre-order yours today! Explore the home of Grenache (Garnacha or Cannonau) with one of the finest riserva examples arriving Wednesday! 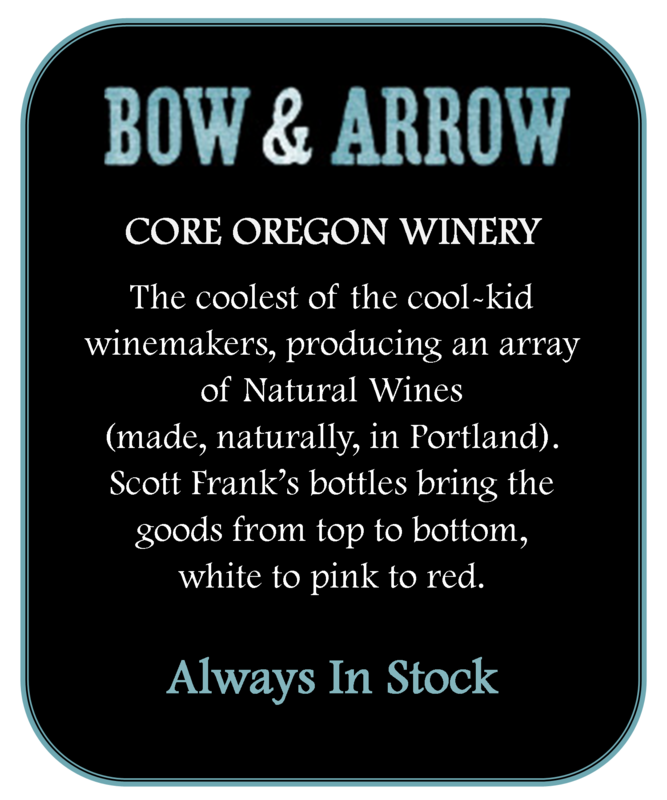 Scott Paul WinesAn extensive collection of winery-cellared library wines at incredible discounts! 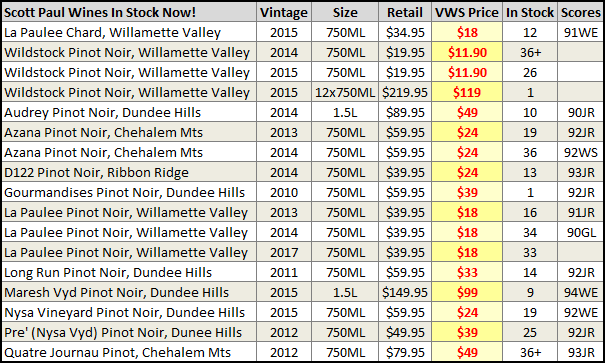 Our hottest offer of Willamette Valley wines are those from Scott Paul– we’ve sold through around 2,000 bottles over the past two months but still have plenty of options in stock (for now!) 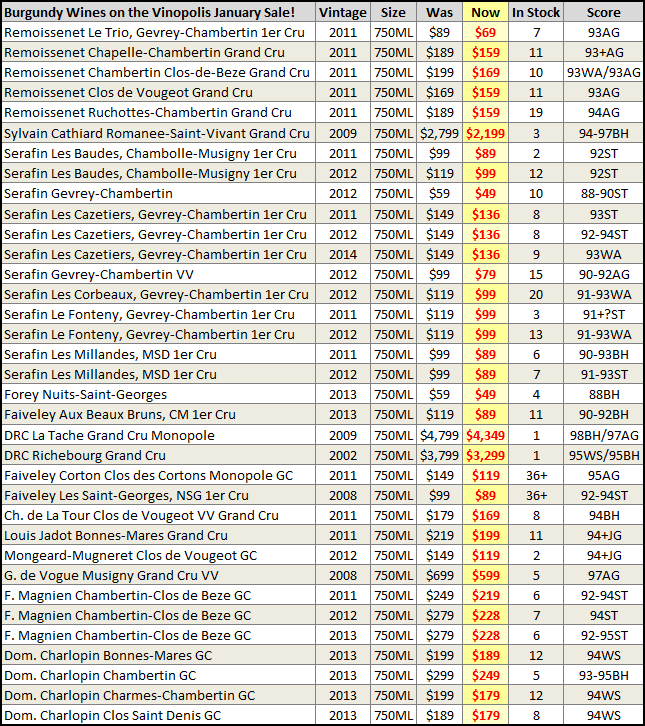 Don’t wait too long, these are your last chance at many these bottlings! G.B. Burlotto was considered among the absolute greatest winemakers in the world for the seventy plus years he was at the helm of the estate. After his passing in 1927, the winery and his hometown of Verduno slipped into obscurity. Now Fabio Alessandria, the great-great-grandson has taken over and Burlotto is regaining the place it deserves among the best small producers in the Piedmont. Alessandria has a classical palate and a traditional winemaking style, and the Langhe’s diversity flourishes in his hands. His Langhe Nebbiolo captures the grape’s affinity for the region, while the Barbera d’Alba brings out this variety’s inherent charm. The Freisa is a trip: think Nebbiolo’s wild & crazy cousin. 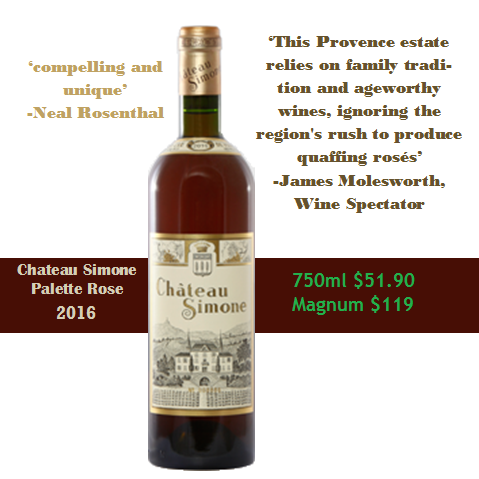 These are easily some of the best value in Piedmont wines when you consider the quality and utterly appealing nature of the wines. We’ve got 130 wines in our January Sale! You can click here to see all of these (extra) great deals or keep reading for all the wines, sorted by category.